Beedie Living is proposing to build a 26-storey residential tower adjacent to the YWCA’s Como Lake Gardens supportive housing facility which will incorporate 7 YWCA townhouse units along Como Lake Avenue in Coquitlam. These 7 units will expand the number of affordable units currently available for female-lead single parent households, the demand for which has been apparent since Como Lake Gardens opened in April 2012. 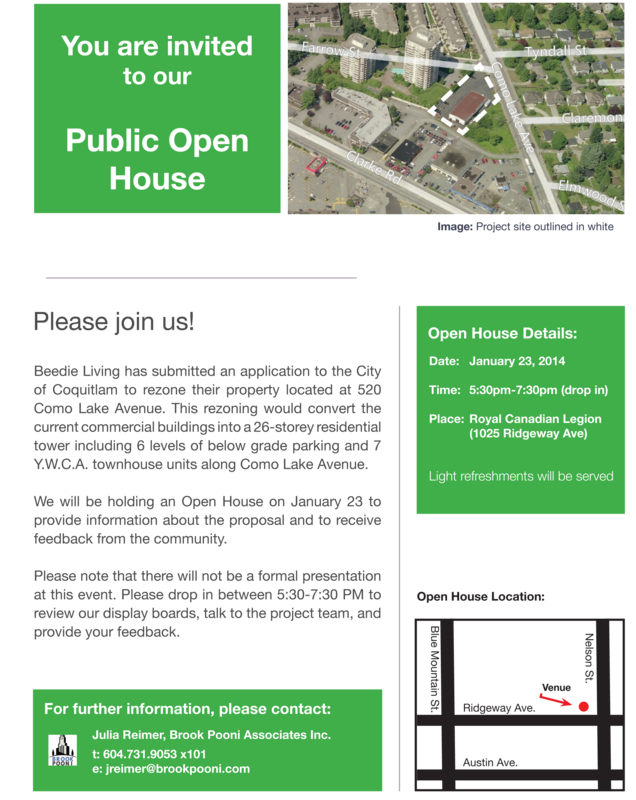 Beedie Living is hosting an open house next Thursday, January 23rd to introduce the proposal to the community and get feedback. Please attend and demonstrate your support for this project. By tricitiestaskgroup in News on January 15, 2014 .